Talent comes in all sizes, ages and forms. 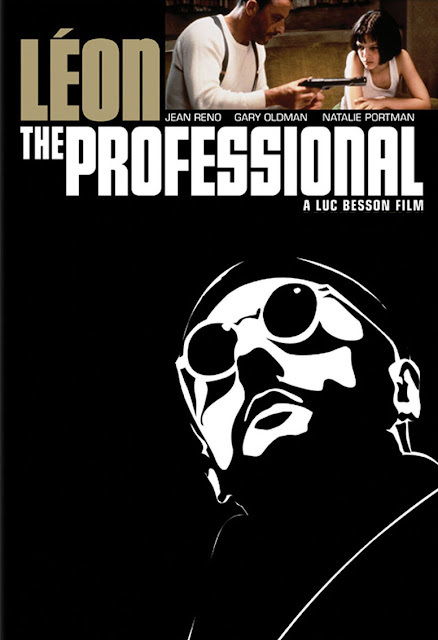 Some of the best performances of the 90s came from Luc Besson's film The Professional (aka Léon: The Professional). Starring Jean Reno, Natalie Portman, Gary Oldman and Danny Aiello, the story follows the life of Hitman Léon after saving a young girl. As a rather unknown actor in America, Jean Reno took on the titular role with an expertise no other actor could. And like Reno, only Natalie Portman could fill the role of bull-headed Mathilda, Léon's adopted protégée. In her first feature film, Portman started her amazing career with a bang. And who else but Gary Oldman could rival these two as the frightening Stansfield. Reno and Portman are a perfect match as master and student, father and the daughter, and even lovers divided by time. The latter was an element the studio was very uncomfortable with - hence the studio version of the film. Director Besson has explained that there was really no harm in the situation; there was only ever awkward sexual tension and it was always provoked by Mathilda. He also explains that mentally both were right for each other since Léon's mind had been stunted at an early age. The director's cut includes scenes with Mathilde becoming more and more aggressive with her protector. As a film lover, I highly recommend the superior director's cut. It truly gives a better picture of the two characters and the overall story benefits with the addition of those scenes. Keep in mind, the scenes were never that risqué to begin with and especially not compared to films today. Fortunately the scenes, and film in general, were handled by a master craftsman and portrayed by very smart actors. The film explores the revenge genre with unique characters, expert storytelling, solid performances and incredible action. Each character is given room for development making each important enough to care, hate, fear and love. And because of this, it is unlike most action films filled with one dimensional characters. Here we get round personalities with both good and bad traits. None are perfect and none are too cool. In fact, it's the oddity of these characters that help bring charm to even the antagonist. And anyone who's seen the film should be aware of Gary Oldman's performance. He takes the simplest task, such as taking pills, and turns it into the strangest thing you've ever seen. He also creates one of the most terrifying moments in the film by making it one of the most gentlest. The fearful mood is set simply by touching Badalucco's character (pictured below) with tender hands and soft whispers, something you just wouldn't expect which makes it that much more eerie. Oldman and Michael Badalucco as "Mathilda's Father"
The film has aged extremely well over time and remains one of Besson's best work. The film paved way for odd characters, young performers, and overlooked actors. And though it spawned hundreds of imitators, there really is only one professional and his name is Léon. TRIVIA: Mathilda (Natalie Portman) checks herself and Léon into the hotel under the name "MacGuffin". "MacGuffin" is a movie term coined by Alfred Hitchcock for a trivial element in a movie which serves no other purpose than to drive the plot forwards.